Workers at General Motors’ Cami Assembly plant in Ontario have been on strike since Sunday, angry over recent layoffs and reportedly at an impasse over wages and benefits and seeking a renewed investment in their facility. 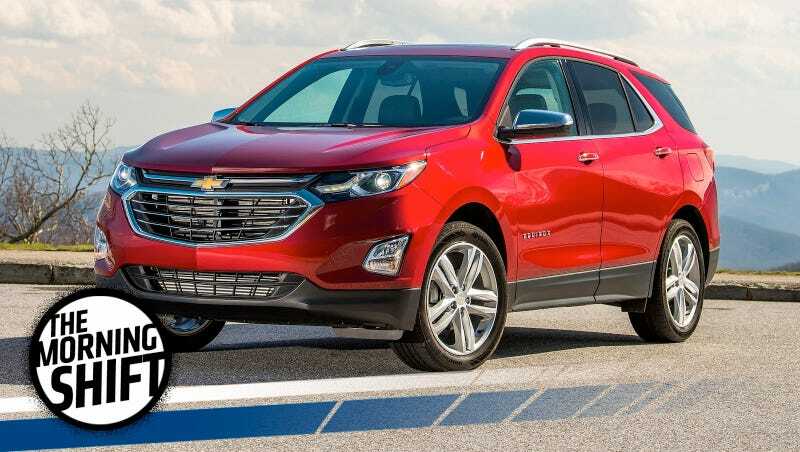 This strike at this particular plant could not come at a worse time for GM, because this plant builds the ultra-popular Chevrolet Equinox. Buyers are snatching those up at obscene rates amid the crossover boom and because they initially thought these things were $80,000 BMWs. [Joe Langley, associate director of North American automotive production forecasts at IHS Markit] estimated that GM would lose 872 units a day of Equinox production, a significant hit and one not likely to be covered by the two Mexican facilities — Ramos Arizpe and San Luis Potosi. The company sold 28,245 Equinoxes last month. Kristin Dziczek, director of the industry, labor and economics group at the Center for Automotive Research in Ann Arbor, said the impact on GM’s bottom line will grow the longer the strike lasts. Consumers who want particular colors or options might not be able to get what they want and might be prompted to consider other compact SUVs, such as the Ford Escape, Toyota RAV4 and Nissan Rogue. “When you start drawing down inventory levels, you might lose sales because of the lack of choice and the delay in getting exactly what the customer wants,” Dziczek said. Save the Equinoxes! Or something. I don’t really care. Reuters reports that Ford’s new deal with Mahindra is reflective of the challenges facing the entire industry—the giants need to invest heavily in electric vehicles, including low cost ones, while the smaller companies need inroads into larger markets. All true. Ford and other global automakers are under pressure as policymakers demand they shift their product lines entirely to electric vehicles over the next two to three decades. One potential benefit to Ford of a partnership with Mahindra is access to lower cost electric vehicle designs and local suppliers it needs to compete in markets such as India. Ford has less than a 3 percent market share in India, although its exports from India are expanding rapidly. Near term, Mahindra could help Ford lower its distribution costs or send production work to Ford’s Indian plants. At the same time, regional automakers such as Mahindra with ambitions to grow need access to technology, strong brands and global distribution networks that established companies like Ford can offer. Hackett’s decision to no longer go it alone in India follows a move to hire an outsider to run Ford’s operations in China, and shift production of the Ford Focus for the U.S. market to China, instead of Mexico as previously planned. Hackett has also launched reviews of the company’s luxury brand strategy and self-driving car development. Emphasis mine there. Immediately, one has to wonder about Lincoln, which has a relatively limited product portfolio and, unlike most of its luxury competitors, is not a global brand. I’m purely speculating here, but perhaps Hackett could axe that brand in favor of investing in EVs or autonomy, or do something else entirely with it. He wouldn’t be the first Ford CEO to question its role—Alan Mulally wanted it gone a few years ago too. But who knows! Automotive News says the answer to Cadillac’s lagging sales in America is more crossovers. They are what people are buying. And its Chief Marketing Officer Uwe Ellinghaus, a veteran of BMW, says Cadillac’s much-panned (in Detroit) move to New York has paid off with new partnerships and events in the luxury and fashion worlds. Another New York-born project is also primed for a wider rollout. Cadillac is evaluating opportunities to expand its Book by Cadillac vehicle subscription service, which gives subscribers on-demand access to Cadillac vehicles for $1,500 a month without the commitment of leasing, financing or purchasing. The pilot program started in March and has drawn global attention. Cadillac had 8,000 people, including 1,500 in greater New York, interested in joining the pilot program, said Ellinghaus, who calls the program “leasing 2.0.” Ninety percent of them had never owned or leased a Cadillac. “This shows that we reach out to a target group that we didn’t reach out to in the past,” he said. Automakers across the board are planning to switch their lineups to mostly or entirely EVs in the coming decades, but curiously, one big company that’s reluctant to go full battery electric has been Toyota. And while the giant is working on its own EV, CEO Akio Toyoda seems a bit more cautious than most. Even as a rising wave of governments and automakers get behind plug-in electric vehicles, Toyota Motor Corp. President Akio Toyoda said Tuesday that hybrid technology will remain central to his company’s strategy. Choices are smart, I think. But there’s the Supra! So, yeah. On September 19, 1973, 26-year-old musician Gram Parsons dies of “multiple drug use” (morphine and tequila) in a California motel room. His death inspired one of the more bizarre automobile-related crimes on record: Two of his friends stashed his body in a borrowed hearse and drove it into the middle of the Joshua Tree National Park, where they doused it with gasoline and set it on fire. Neutral: Is Toyota Smart By Hedging Its Bets On Full EVs? Or will it be left in the dust by automakers rushing to go electric?